At, GSM, we recognise our responsibility towards protecting the environment .As a forward -looking enterprise, we are strongly committed to extending our 'Green' footprint. In line with this thinking, we embarked on a clean energy initiative with a 2 MW Wind Power Project which provides some captive power to our units. Commissioned 1st Wind Power Plant ( Siemens Gamesa) of 2 MW Capacity at Molagavalli Village, Alur Mandal, Kurnool District ,Andhra Pradesh in July 2018 for captive consumption. 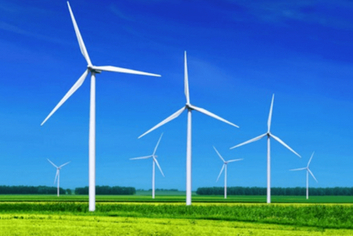 This wind power plant is expected to generate 5 Million units per annum. Copyrights © 2017 All Rights Reserved.GSM.